Heirlooms Reunited: Tintype of Girls ages 12 & 8, "Mamma & Lizzie"
Tintype of Girls ages 12 & 8, "Mamma & Lizzie"
It's such a shame that "Mamma" and "Lizzie" are not further identified with a surname and locale. 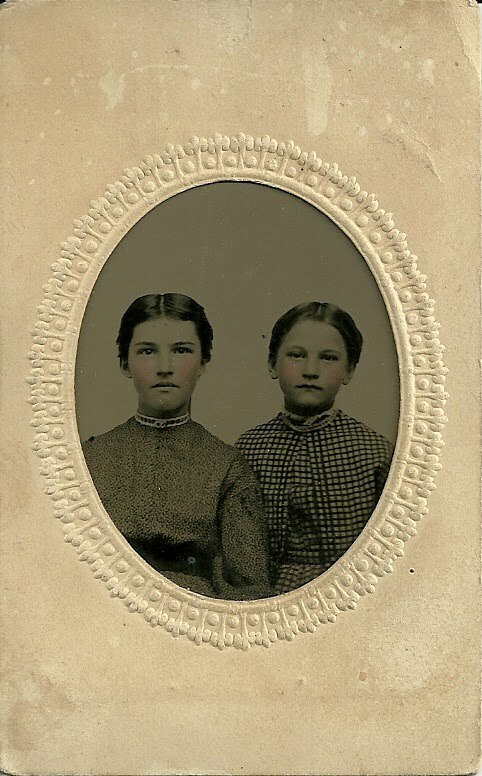 Perhaps you recognize them from your family albums or genealogical research? My only clue, and it may be a red herring, is that the tintype was purchased in Maine. If you have any insights into the identity of these girls, please let me know.